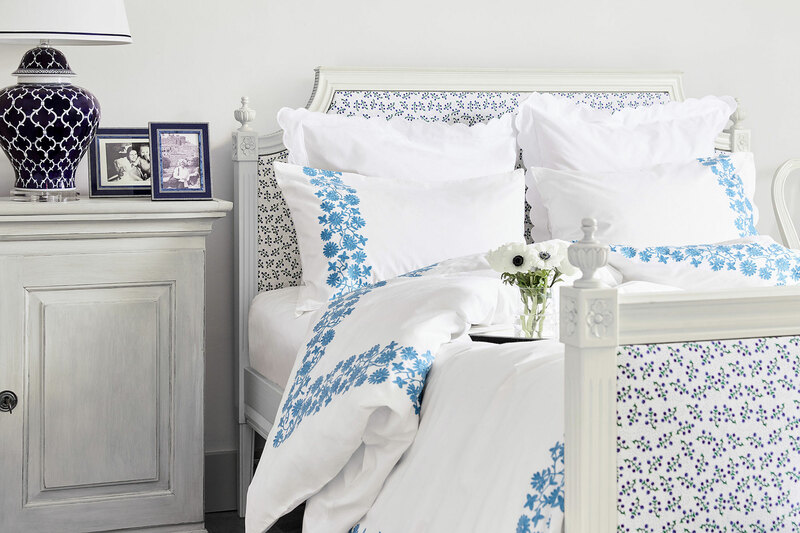 Enjoy sweet dreams and a beautiful boudoir with our glorious Giselle Bed Linen Set. 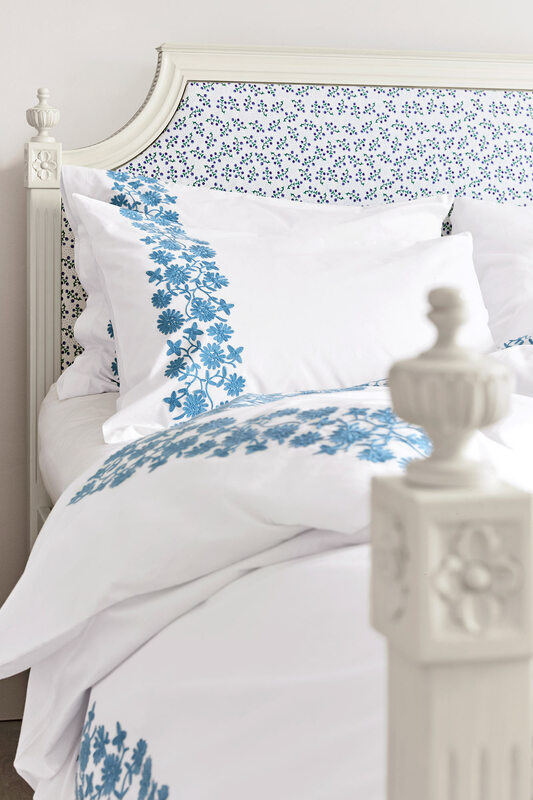 Made from pure cotton for complete comfort and heavenly sleep, it is exquisitely embroidered with a charming, climbing floral border in beautiful azure blue. 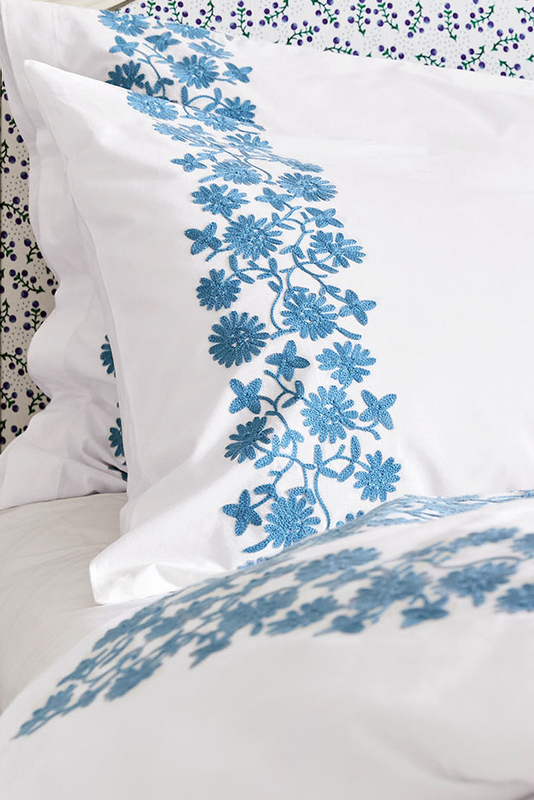 Luxuriously soft and perfectly pretty, you won’t be able to resist climbing into this beautiful bed linen. 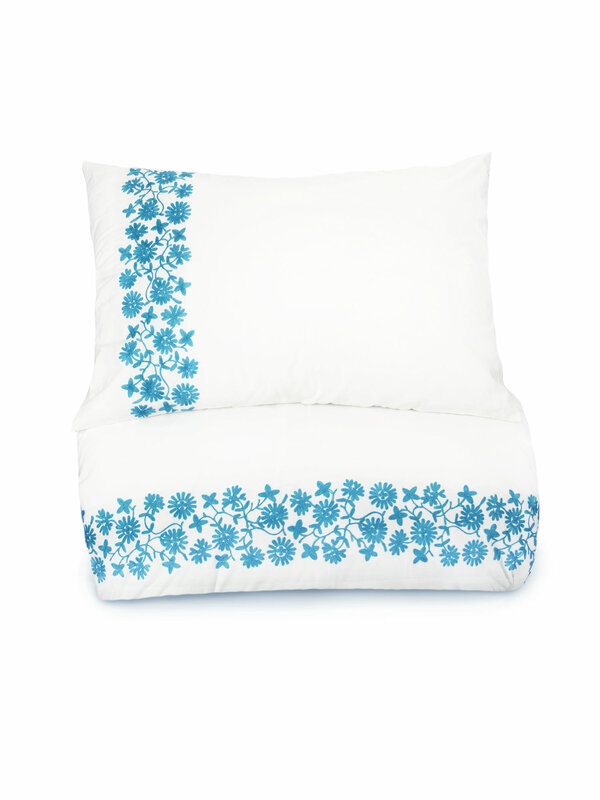 This set includes two pillow cases and a duvet cover, available in Double or King Size.